This project was a long time in the making! Not because it’s complicated (it’s actually super easy!). 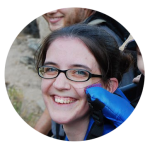 But it seemed like things kept going wrong, and then we had a rough month. But it’s finally here, and I’m so happy with how it turned out. 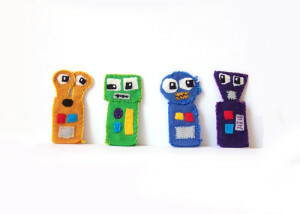 I used that for the basis to make this fun little pencil roll for my boys. 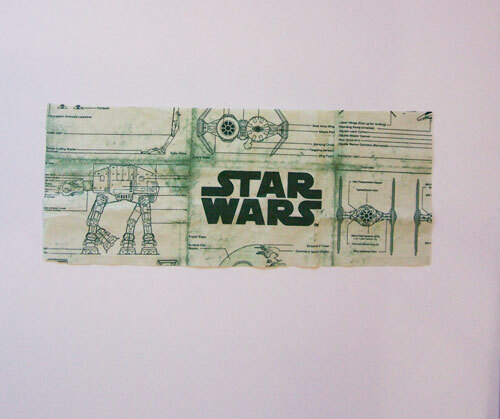 I had the perfect fabric lying around just waiting to get used for a project like this – Star Wars schematic fabric. 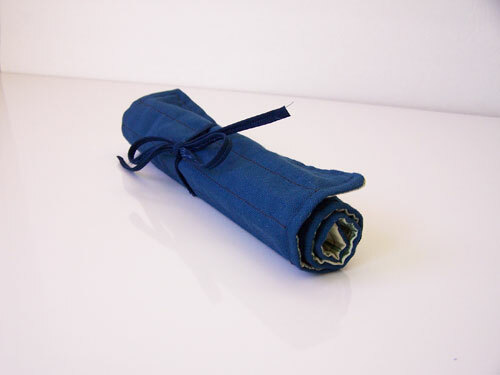 I used a thicker, tough fabric for the outer part of the roll because…well, boys! 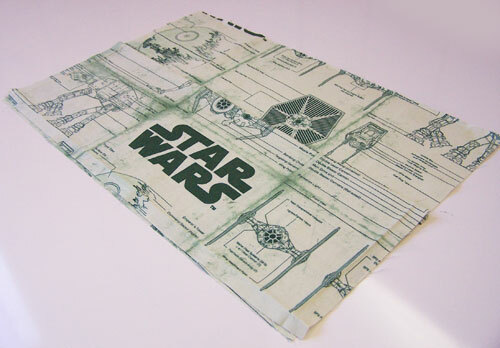 I found this Star Wars schematic fabric on Joann’s a year or so ago, and have been waiting for the perfect project to use it for. I’m not sure if they have it anymore – I couldn’t find it on their website. But they do have a lot of other neat fabric. 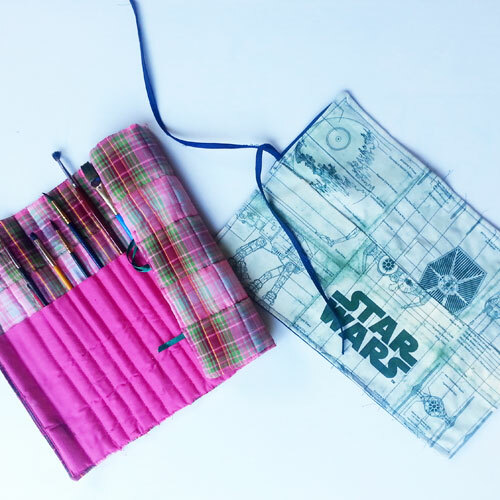 You need 3 rectangles for this project, plus some ribbon or bias tape for the tie. 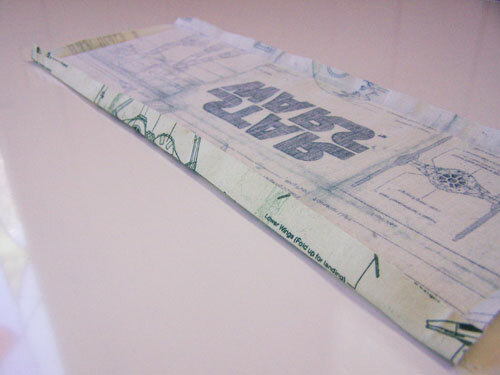 You need two rectangles 15 inches x 10 inches, and one smaller rectangle 15 inches x 6 inches for the pocket part. If you are using the same style as mine, one of your bigger pieces needs to match the smaller pocket part. 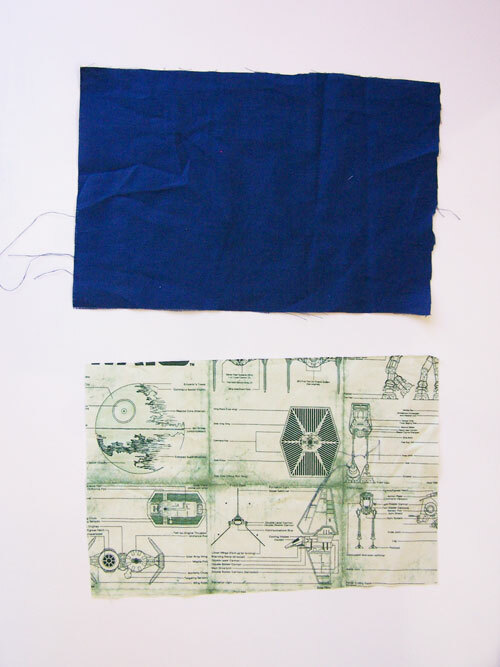 For my project, I used dark blue thick fabric for the outer part and I used the Star Wars fabric for the lining and pocket. 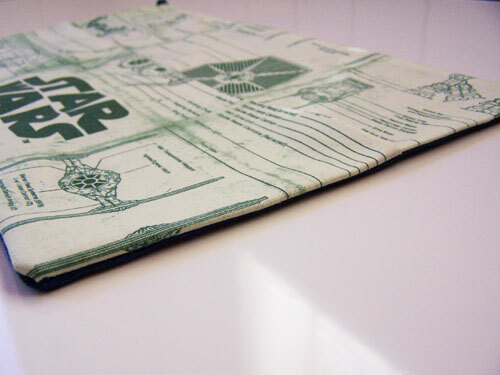 I used more Star Wars fabric for my pocket, and made sure to cut it to show the wording and schematics just right. Take the pocket and iron down the top and bottom edges (the longer sides) 1/4 of an inch. 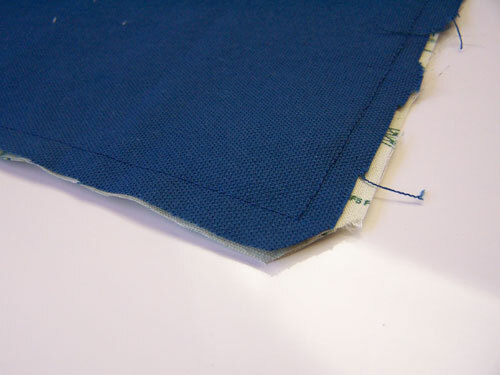 Lay the pocket on top of the inner fabric. 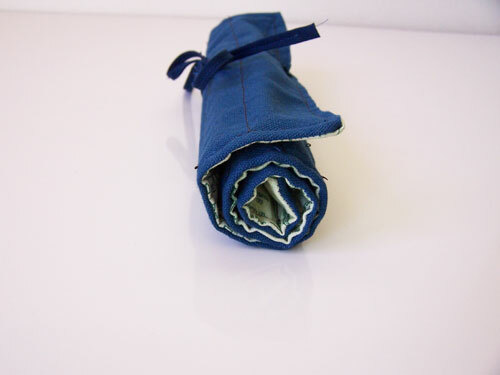 Pin your outer fabric on top, right sides together, keeping your pocket sandwiched between the two. 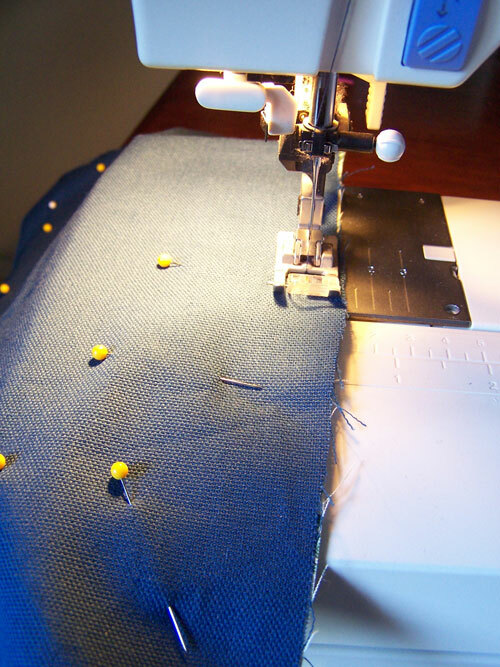 Sew around the edge, making sure to leave a small space so you can turn it right side out. 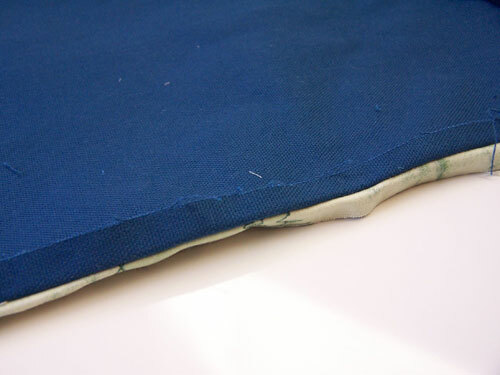 And iron down the extra fabric of the seam. This will give you a nice, clean edge when you turn it right side out. Turn it right side out. Use a pencil eraser or a crochet hook to shape your corners nicely. Iron all of it, focusing on making the edges smooth. 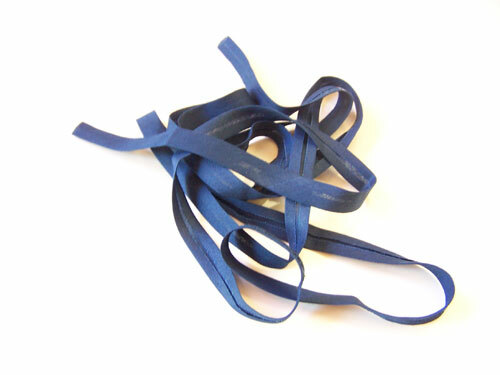 Take some ribbon (I used bias tape, but either will work! 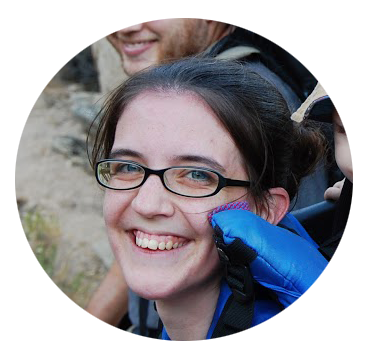 ), and cut about 14 inches. It’s always better to cut extra and trim! You want to make sure it will wrap around your whole roll. Fold it in half. 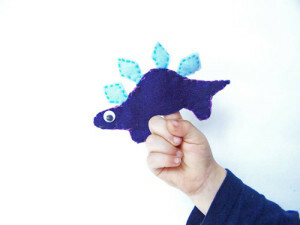 Sew this to the middle of one edge. I sewed around the edge of the whole case, just to make it shape nicely. I sewed about an 1/8 to a 1/4 inch from the edge. Next, it’s time to make the pockets for the pencils. Starting at the bottom edge of the case, sew lines straight up to the top edge. 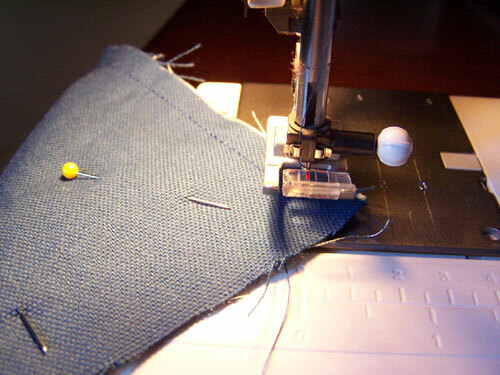 Depending on the type of case you are making will determine how far apart you sew your lines. Since I was making a colored pencil case, I sewed my lines about 3/4 of an inch apart. 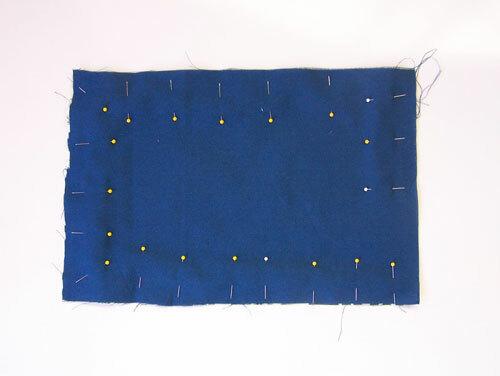 I just eyed it, but if you want to be precise you can use a ruler and a fabric pencil to mark where you want to sew the lines. 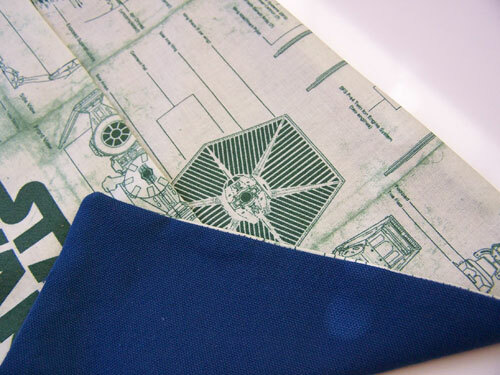 You’ll want to use a thread color that matches or blends well with your outer fabric, because these lines will be visible on the outside of the case. 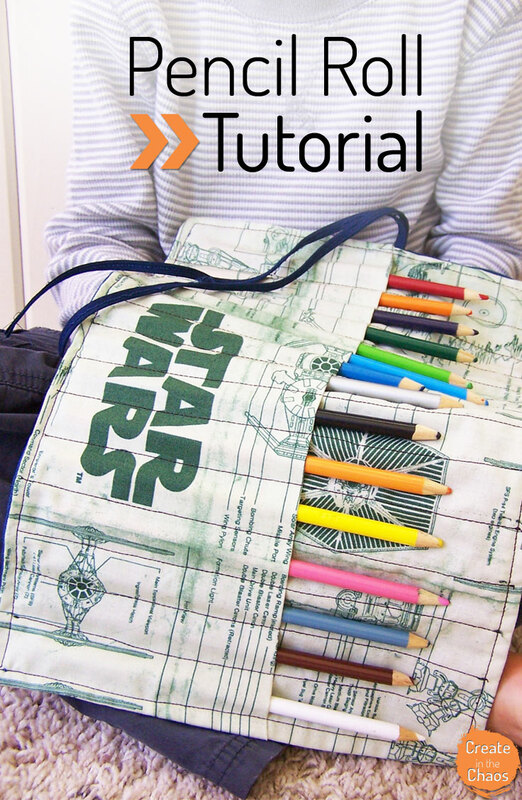 Then you can add your colored pencils. Roll it up and tie it off. The great thing about this project is it’s easily adaptable to make a variety of cases. 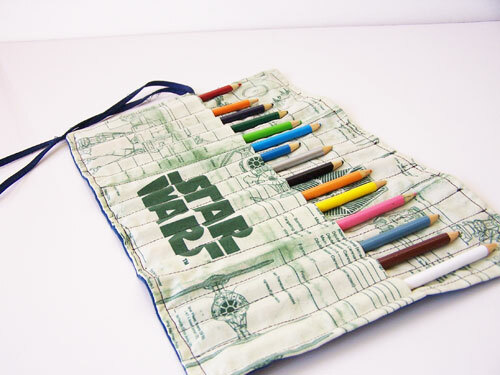 Want to hold crayons? 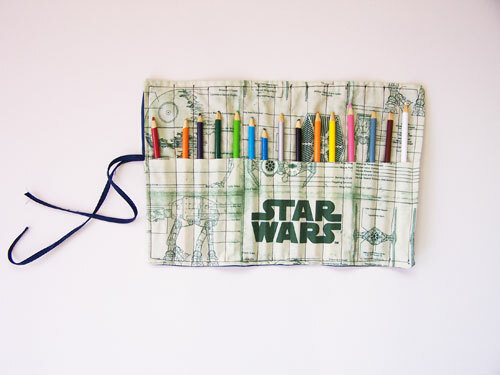 Shorten the height of the case and sew your pocket lines big enough to fit crayons. 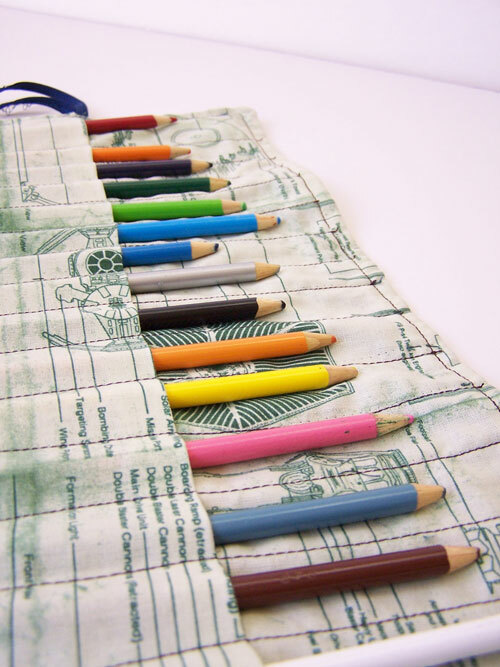 When my mom made my paintbrush case, she varied the widths of the paintbrush pockets so it could fit a variety of sizes. I love how portable it is. You can just throw it in a backpack or purse to take along. 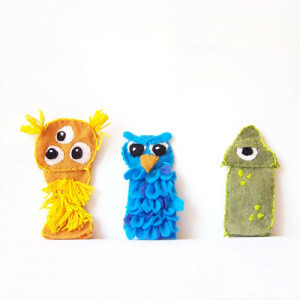 I made this one for my almost-five-year old (how did that happen?!) – he loves it! 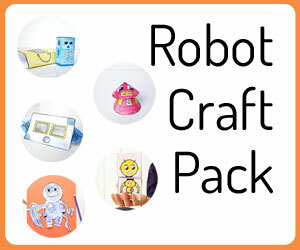 I plan on making one for my three year old next. P.S. 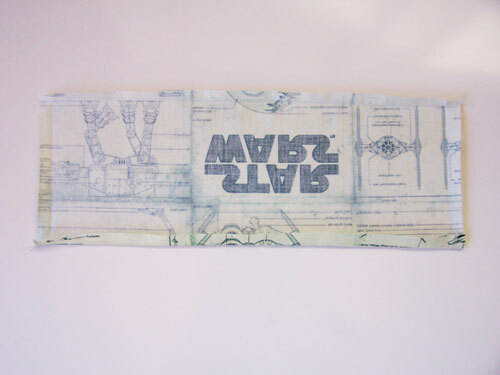 If you love Star Wars, you’ll love these Star Wars knit mug cozies!